This is a project my students implemented during the 2017-2018 evening club Young Hackers. 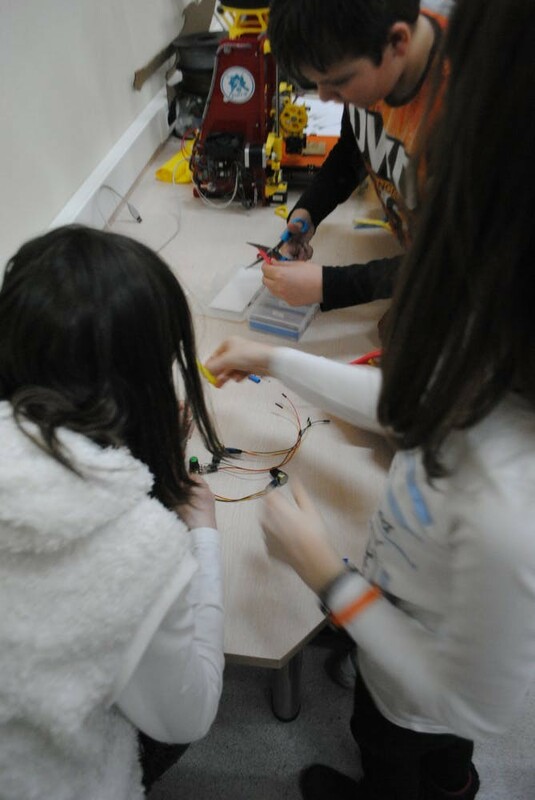 It is a demanding project for elementary school students and it took us many meetings to accomplish. 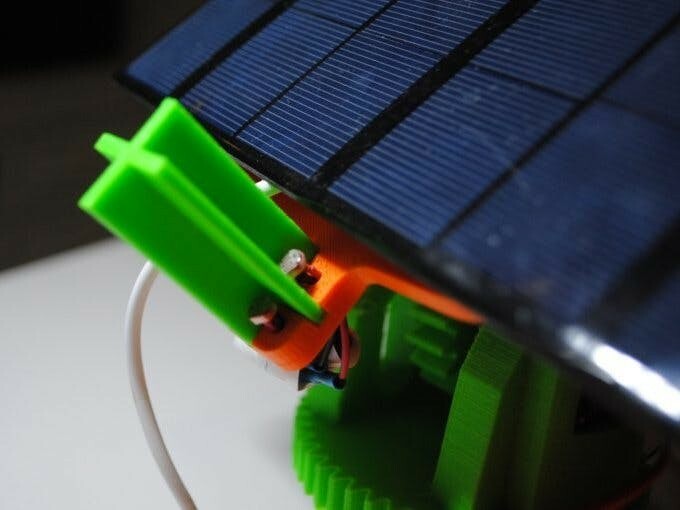 It contains a small 5V solar panel that can rotate in two axis so as to harvest maximum power from the sun. The project is based on the Dual Axis Solar Tracker Project from OpenSourceClassroom. We wanted to implement two modes in the final product. A manual mode – controlled by two pots. An auto mode – controlled with four light sensors. 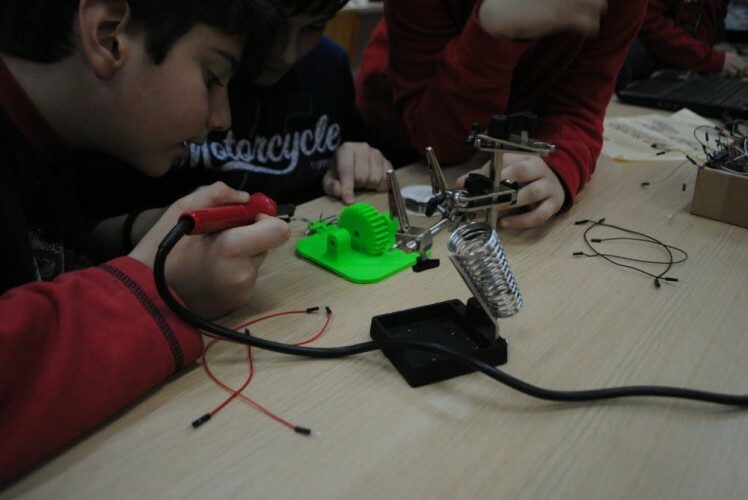 In order to achieve that we programmed the device to change between modes with the help of a push button and two indicator leds. When the device is in manual mode the red light is on and we can control the rotation of the panel in two axis with the aid of two potentiometers. When the device is in auto mode the blue light is on and the rotation of the panel is determined by the light collected from the four LDRs. The programming was done in tinkercad. 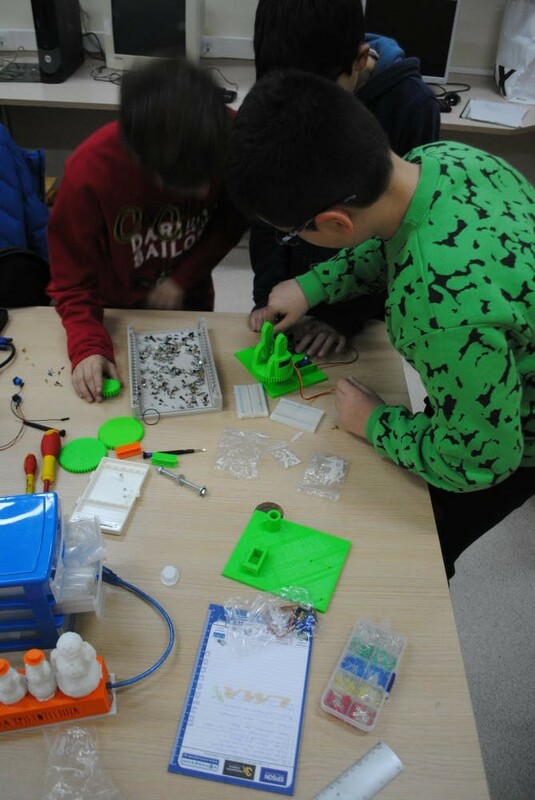 Students worked in groups in a production line style to complete the tasks. (wire soldering, wire insulating, parts screwing etc. ).